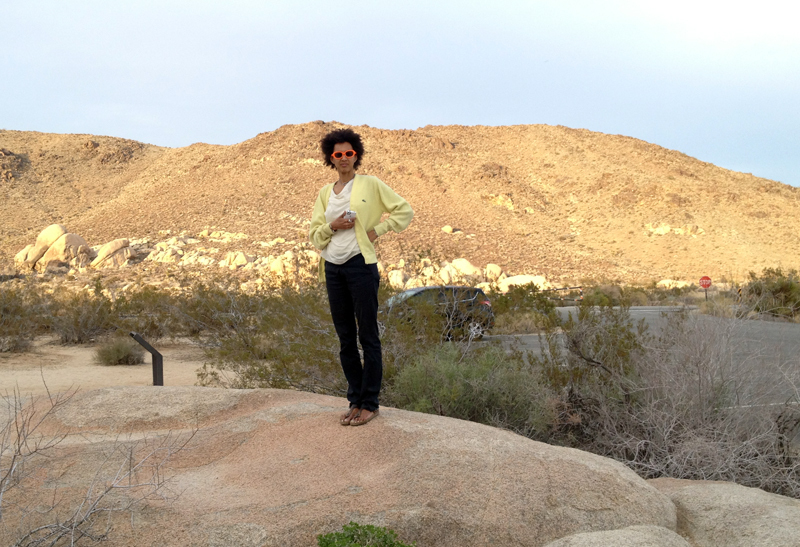 Me, my phone and a rental car on a recent visit to Joshua Tree. My name is Brooke Williams and I live in Brooklyn, NY, which is just across the river from where I grew up. When I was a kid, I would chronicle events that were upsetting/significant to me on paper and then write “THIS IS AUTHENTIC” in all caps on the bottom before signing them. I guess I have always been interested in documenting my reality. Or maybe I secretly wanted to be a lawyer. I never did go to law school, much to my father’s dismay. Instead I pursued a multi pronged career path: as a photographer shooting for magazines like Vanity Fair and New York as well as for gallery shows, as a musician playing and composing in my own groups as well with other bands like Beastie Boys and Sybarite, as an editor at the original iteration of Domino Magazine, as a writer for all sorts of blogs, magazines and websites, as a DJ (because I never got rid of my old LP’s) as an activist fighting for the rights of all humans to peacefully coexist on this planet without destroying it or each other, and then, overshadowing all others, as mother to a force of nature in the form of a little girl. And still it goes on, with each day bringing a new adventure. If you want more information, I share thoughts about mothering and DJing on Tory Daily, teaching my daughter about activism on The Cut, and my secrets to a happy marriage on A Cup of Jo. Or just noodle around this site and I’m sure you’ll have more than enough!